We are your one stop shop for all skateboard related products with your design. 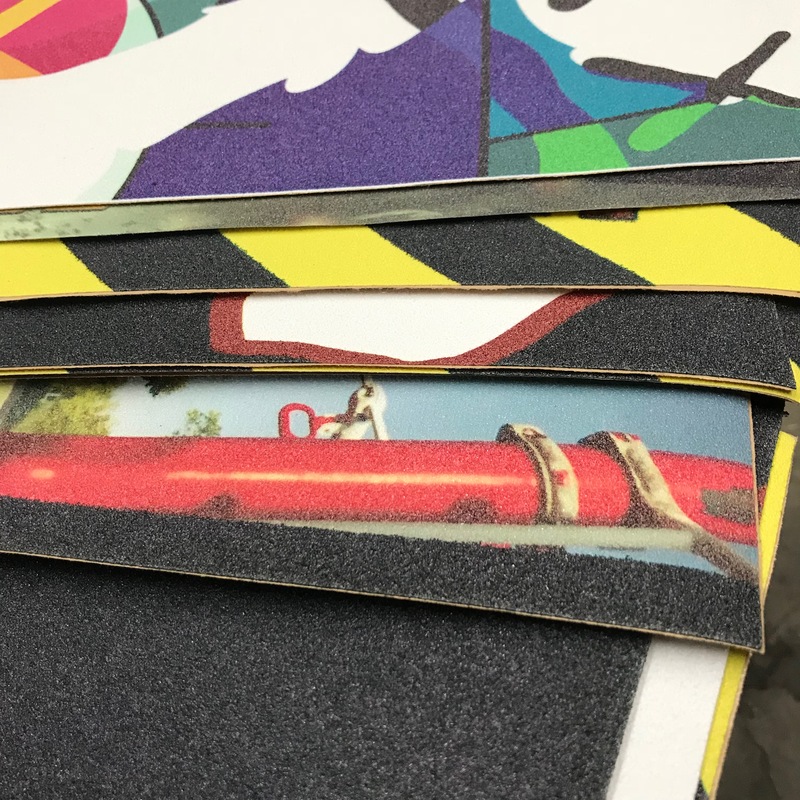 Printing on grip tape is one of the new products we offer for you to create your own designs and display them on grip. Dedicated to helping you out to get the best price in the market. Since we are one of the largest skateboard manufacturers in the United States we have the ability to offer what no other company is willing to. You won't find a better price when it comes to custom grip tape printing. We enjoy giving you a deal and will continue to do so. Sit back and take full advantage of our manufacturing process that helps support you the individual skater.